Inspired Gaming Group has released its Virtual Grand National 2018 and Virtual Grand National Race of Champions games ahead of the race being run this month. 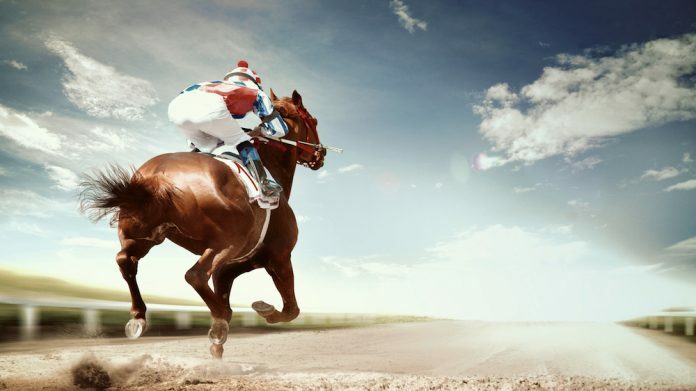 The horseracing titles, available through BoyleSports and Ladbrokes Coral, are the latest launches from the game technology company’s Manchester studio. “I’m delighted to announce the commercial launch of Inspired’s Virtual Grand National 2018, as the nation begins to anticipate the greatest horse race of the year,” said Inspired COO Steve Rogers. Inspired’s Virtual Grand National 2018 title will replicate the 6.907km, 30 jump race, held annually at Liverpool’s Aintree racecourse, by pitting 40 runners against one another. The Grand National Race of Champions, however, will see the race run by some of the most successful horses to have ever competed on the National Hunt course, including Red Rum, Many Clouds and Amberleigh House.